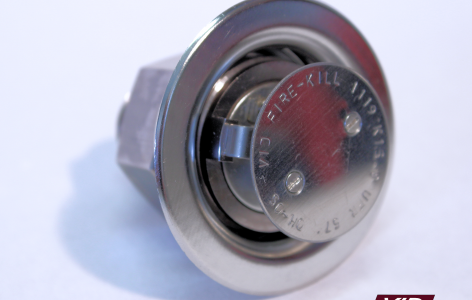 The pendent installed Model OH-VSO, Model OH-L2, the horizontally installed Model OH-SW and Model OH-SWC, and the upright installed Model OH-UPR nozzles have been designed specifically for effective and reliable protection of most EN OH1 risks and NFPA LH risks. 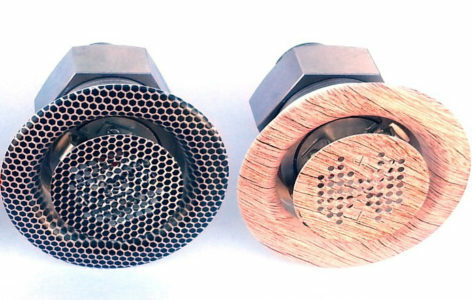 The pendent nozzles have been designed for all applications and the same goes for the horizontally installed nozzles, if the application allows for the horizontally installed nozzles spacing restrictions. The upright installed nozzle has been designed for protection above false ceilings and in such voids. Being specifically designed for the protection of these hazard groups, VID Fire-Kill have been able to maximize coverage, while considerably lowering water supply requirements, and utilizing specific nozzle-orientations allows for the most effective fire-protection capabilities. The OH-VSO system has been successfully tested and approved to the FM5560 standard for FM HC1 occupancies, as implemented in the CEN/prEN 14972:2016, part 4. The OH-L2 has been successfully tested and approved in accordance with IMO Resolution MSC.265(84) for open public spaces. The OH-SW has been successfully tested and approved in accordance with Danish Fire Laboratories test method 80728-SW “fire test scenario for horizontally installed sidewall water mist nozzles” as implemented in the CEN/prEN 14972:2016, part 1, Annex A. The OH-SWC has been successfully tested and approved in accordance with IMO Resolution MSC. 265(84) for small compartments. The OH-UPR system has been successfully tested and approved to VdS car park test protocol, as implemented in the CEN/prEN 14972:2016, part 5. The Model OH-VSO, Model OH-L2, Model OH-SW, Model OH-SWC and Model OH-UPR have been successfully tested and approved to protect most EN OH1 risks and NFPA LH risks. For more information regarding the applicability of the Model OH-VSO, Model OH-L2, Model OH-SW, Model OH-SWC and Model OH-UPR, please read the supplied datasheets below or contact the VID Fire-Kill Salesteam.